Next, Miles O'Brien looks at some of the science behind hurricanes and what might explain the historic flooding that recent storms have delivered. It's the latest installment of our weekly series on the Leading Edge of science and technology. The storm surge probably didn't reach here. The storm surge seem to come up to the dune field. The really extraordinary thing about this storm wasn't the wind category when it hit the coast. It was the fact that it stalled out, enabling it to dump days of tremendous rainfall in places like North Carolina. So there's a growing body of evidence that this may be related with climate change. A study in the journal "Nature" in June of this year concluded, between 1949 and 2016, tropical cyclones have slowed down 30 percent when they hit land in the Northwest Pacific and 20 percent in the North Atlantic. I think the question that we have to ask is what's causing the trend, whether this is just some small piece of a longer-term natural variability, in which case maybe the storms will end up speeding up again in the next 50 or 75 years, or whether there's a human fingerprint on it and it's linked to warming, in which case we would expect the slowing to just continue as long as we keep warming the planet. When you have warmer ocean temperatures, so a warmer temperature at the surface of the ocean, you can evaporate more water vapor into the air. So that means that when you have a hurricane, there's more water vapor up in the air, which means there's more available water vapor to condense out and to produce rainfall. And so it's a combination of the slowing of storms, as well as the increased rainfall due to the increased water vapor in the — in the atmosphere in a warmer world. Really, for Southeast Florida, this particular area ha seen a lot of really high storm surges from hurricanes, and so there's really a geography to it. When we think of coastal flooding, sometimes, we think of saltwater slowly coming up. During a storm surge, the water is pushing in, in incredibly rapidly, and it's filled with debris. And it can actually rub tree bark off of trees. And this is a sign where we can come back here and see how high the water level got. And despite the current conventional wisdom, Andrew wasn't Miami's worst-case scenario. It wasn't a direct hit on the heart of the city. And it was a tight, fast-moving storm, nothing like the days-on barrage of Florence, Harvey or Irma. It is pretty time-intensive. And to do it right, you really have to get in — into the local archives. You can only do so much online. So getting into local archives, looking at historic maps, talking to historians and librarians, and getting those big events from the past, the reason that's important is that hurricanes are very rare events. And there's one other important factor at play, sea level rise. On the day Needham and I met in Miami, a brief thunderstorm rolled through his neighborhood just before my arrival, a typical event on a summer afternoon in South Florida. That's a fair amount of water. And so now I'm just — in your head, you sort of try to interpolate to a hurricane. So, that's exactly it. This is just — there's no named storm. There's no advisories, no flood warnings. This was just a thunderstorm. So this is what we sometimes called compound flooding. It's — there's the issue of the heavy rainfall. But, on top of that, we have the issue of sea levels rising and, if there's a named hurricane, pushing storm surge as well. What happens when a named storm is bearing down on Miami is at the heart of Frank Rollason's job. In general, in the science of hydrology, we have people that study storm surge, and we have people that study rainfall, and sometimes the two camps don't talk. So, the map — the evacuation maps and the flood maps coming out as Harvey approached the Texas coast where — we had rainfall maps, and we had storm surge maps, and the two weren't really talking to each other. Crowdsourcing may be one way to better define the real risk posed by hurricanes in a warming world. It's apparent the risk is growing. 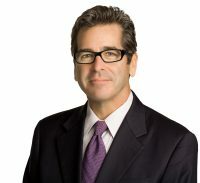 For the "PBS NewsHour," I'm Miles O'Brien in Miami.